Naples, the city of Pizza and Pasta, is the cultural centre of Southern Italy, with the “Aeroporto di Napoli-Capodichino” located within its heart, just a few kilometres from the city centre. Originally constructed as a military airport, it is one of the most important airports in Italy’s south today, and the only commercial airport in its region. 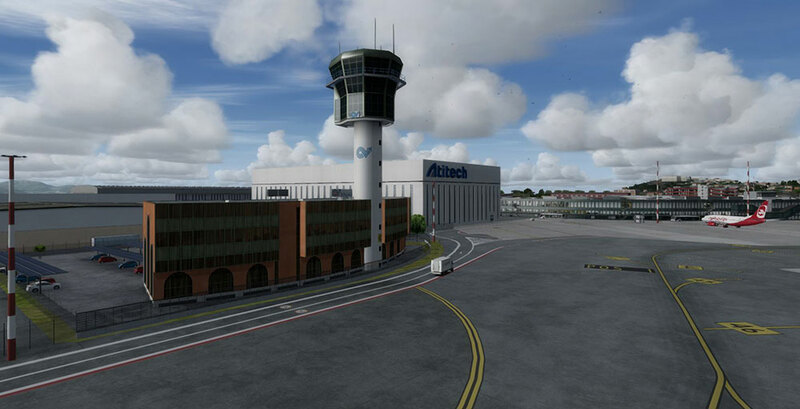 “Napoli X” for FSX and P3D includes detailed renditions of not only the airport itself, but also the city of Naples, with some of the most well-known city objects modelled as well. High-resolution ground textures are being used throughout the scenery, along with a photo-realistic terrain coverage. When night falls, the pre-rendered lighting looks just as a real pilot would see it. Despite its detailed visuals, Napoli X strikes the right balance between quality and performance. Add to that the optimised AFCAD file with up to date approach procedures as well as the compatibility to all major traffic add-ons, Napoli X is a destination that no one should miss out on! "The authors have achieved a very nice representation of a modest medium-sized airport, in an area which by contrast, presents a dramatic, outstanding, and unique landscape over which to fly." "It’s just a beautifully modelled scenery of a very picturesque area of Italy. [..] As I was approaching the airfield, with the sun setting and the lighting of the airport illuminating the tarmac and surrounding area, it certainly looked very lifelike." Related links to "Napoli X"